How to make homemade biryani masala, easy biryani masala recipe, Authentic homemade biryani masala. 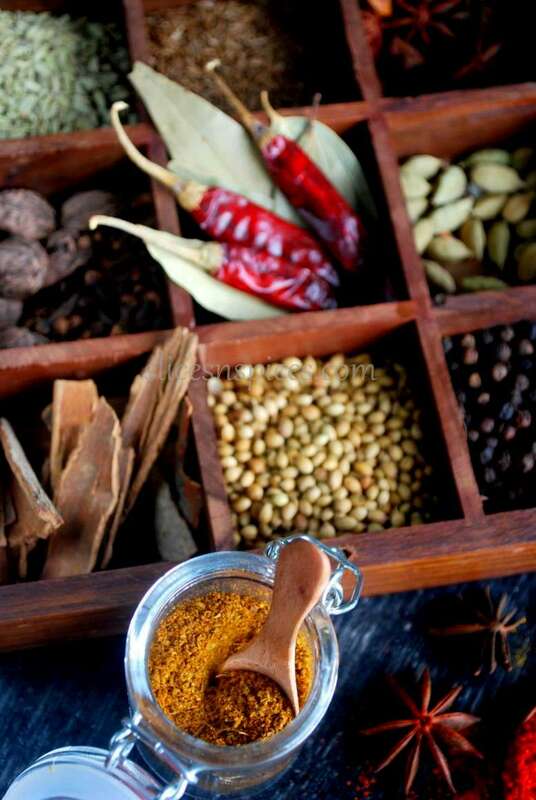 There’s nothing which can beat the aroma of a freshly made spice powder at home. 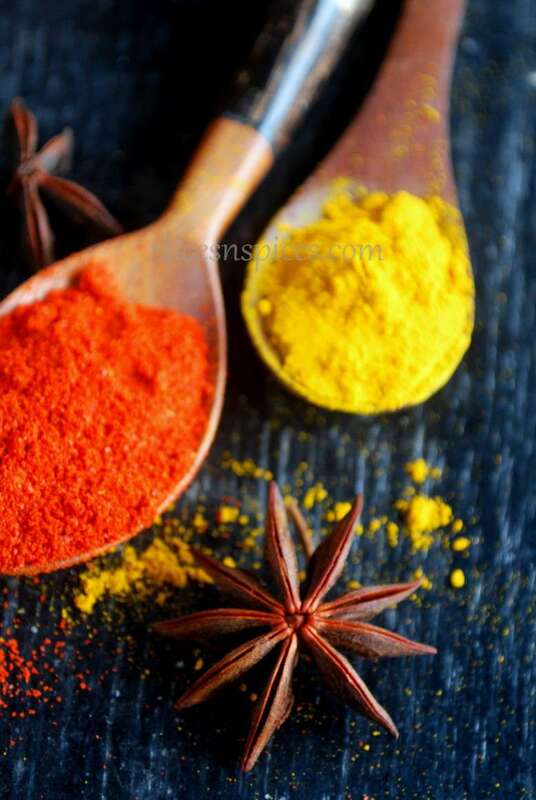 Be it Sambar powder, Rasam powder or Biryani masala powder. Biryani masala is a delicate blend and balance of the most aromatic spices , carefully roasted and ground to add the characteristic flavour and taste to a biryani. I often used to add the store brought biryani masala powder to biryanis, but not anymore. This recipe from vahchef .com is a sure winner for any kind of biryani, whether veg or non veg. 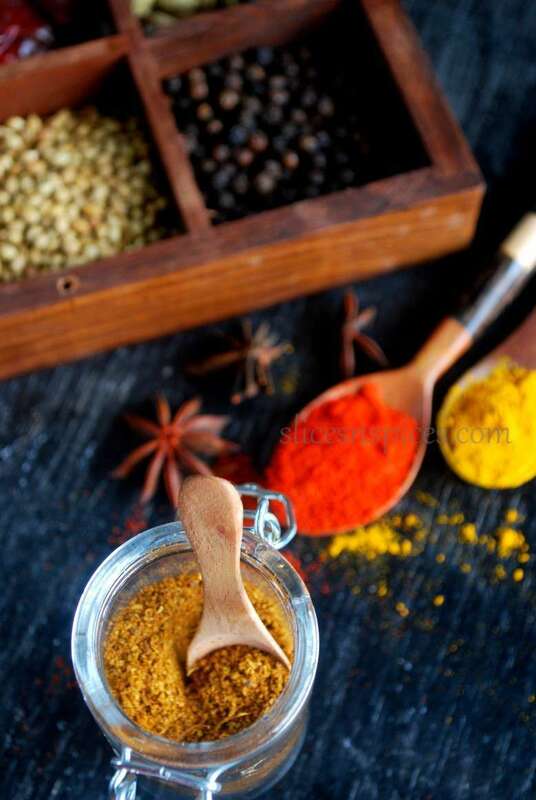 Most of the spices are available at home, except few. 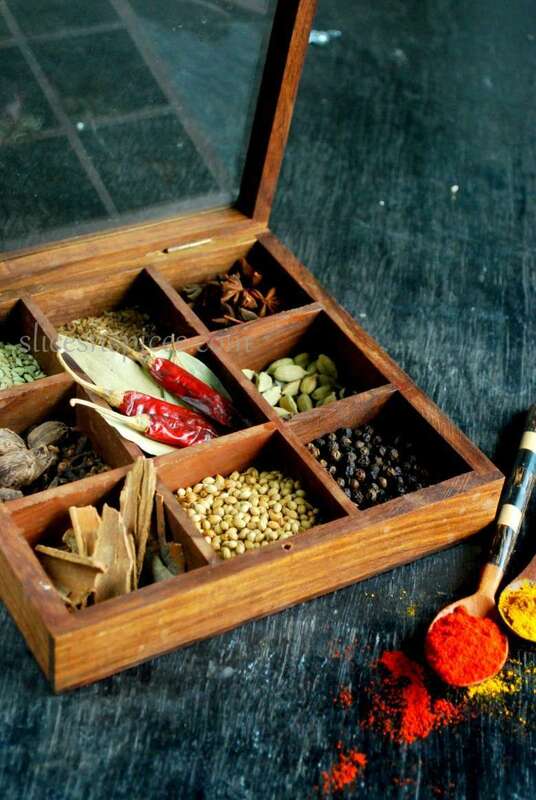 So gather your spice box and get ready to create magic with spices! Recipe adapted and slightly modified from vahchef.com. Ingredients are listed in aplabetical order. Dry roast all the whole spices other than turmeric powder, red chilly powder, fried onions and dried plums. 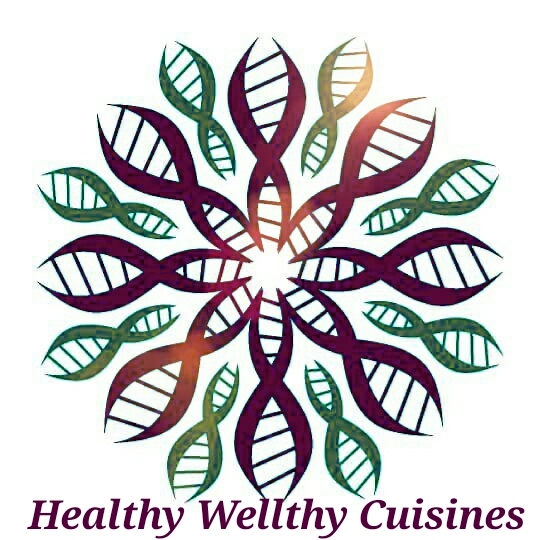 If using coriander and cumin powder, use them directly without roasting. Once all the whole spices are roasted add the other ingredients and blend it into a fine powder in a mixer jar. Store in air tight container . I didn’t find kala jeera, hence used shahi jeera instead. I used coriander seeds and jeera seeds in place of coriander powder and jeera powder respectively for more freshness and aroma. I omitted fried onions , as wanted to store the masala for a longer time. I take needful amount of masala and grind with fresh fried onions everytime I prepare biryani. If you dont find anaardana/pomogranate seeds, use amchoor powder/dry mango powder instead in equal amount. But do not dry roast it, rather add it to the blender jar after the whole spices are roasted. I added aalo bukhara in the biryani gravy instead of masala.